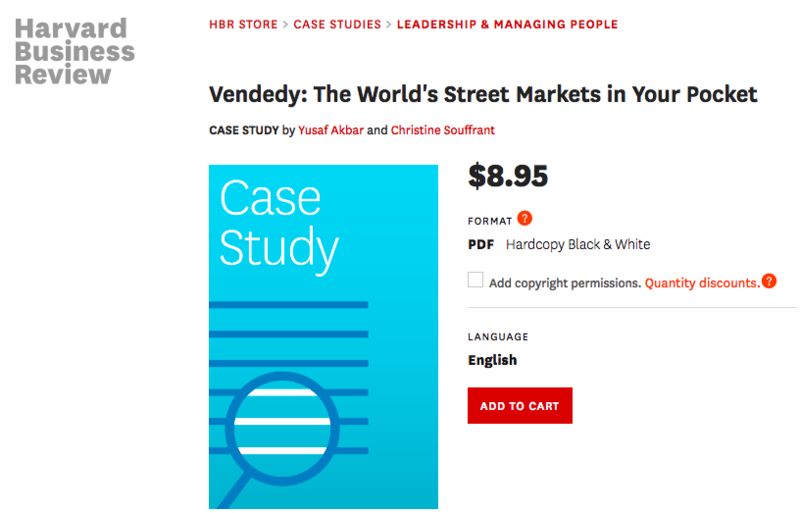 [August 26, 2016- Boston, USA] Vendedy is now a business case study for students pursing careers in business, non-profits and tech startups. 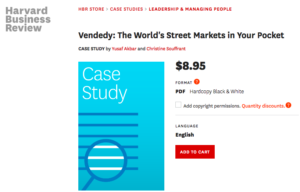 Vendedy’s mission to digitize access to global street markets is a huge undertaking that has taken global media attention for years. It is now a model of discussion for business model viability, impact, leadership, and entrepreneurship. If you are a student or researcher interested in submitting your work on the case study, please send your work and contact information to the Vendedy communications team at info@vendedy.com. About Vendedy: Vendedy is the first social network connecting travelers to street markets.